Contractors – just because you have a contract in place does not guarantee that the person is a contractor for payroll tax purposes (or the superannuation guarantee laws). The law looks at the character of the relationship. Don’t rely on what your contractor tells you. We cannot emphasise enough how big the problem of mischaracterising contractors is. Grouping provisions – Often an entity by itself can be under the payroll tax threshold but when grouped, is drawn into the payroll tax net. Subsidiaries are a common example of a group but the definition can be very broad extending to shared employees and shared control. Where there is a group, the payroll tax threshold applies to the whole group. Interstate wages – Generally, where you have interstate wages, the payroll tax threshold is determined as a portion of your payroll in the relevant State or Territory. Miscalculating the payroll tax threshold – Calculating the payroll tax threshold is not as simple as just looking at your wages. Payroll tax captures Directors fees, fringe benefits, bonuses and commissions etc. Also, for part years – for example where you are only in operation for part of the year in that State/ Territory – are generally assessed on a pro-rata basis rather than actual payroll for the year. If your business has underpaid its payroll tax obligations then you can also expect a call from the workers compensation people. With GST audits, if you have a refund due, your business is more likely to be audited. The trigger for a GST audit is often large or abnormal refunds but can be as simple as not reconciling the quarterly activity statements. 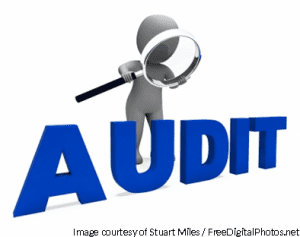 It is worth remembering that every business is a potential audit target and even if you pass with flying colours, it will cost your business potentially thousands of dollars (and even more if there is a problem). The best insurance is not to give the regulators any reason to come and visit but failing that, audit insurance is available to protect you against the inevitable cost to your business. We can do a full compliance risk review for your business to protect you from the ATO and other regulatory bodies. GST and payroll tax are just two of the areas we cover.